The bond between a mother and child is undeniably special and sacred. 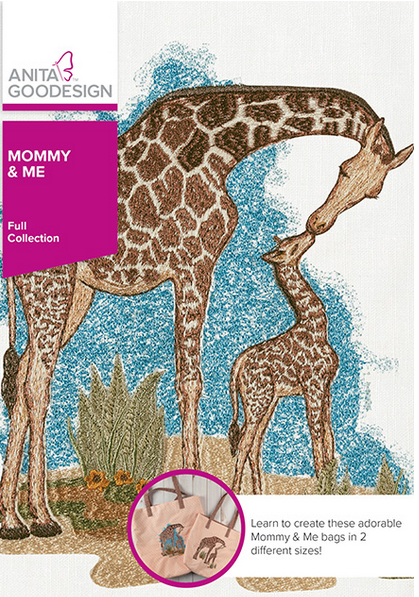 At Anita Goodesign, our namesake is a tribute to that very same bond. This Mother’s Day, give the mom in your life a gift that represents the very best of motherhood. Kindness, love, affection, and patience are all on full display in this collection, featuring 10 animal mothers with their furry and feathery babies. Each adorable scene will make you “awee” with delight and bring a smile to your face. With this design collection, completing projects is easy! Each design comes in three different styles, each using appliqué techniques and diverse fill stitch patterns to bring every scene to life. Pick the design that best fits your project, and get stitching.